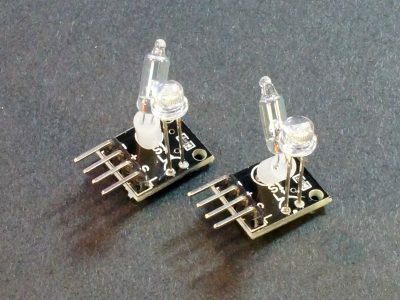 These high quality DIP Switch 4-Position provides four independent ON/OFF slide switches in a small package. These high quality DIP Switch 8-Position provides eight independent ON/OFF slide switches in a small package. 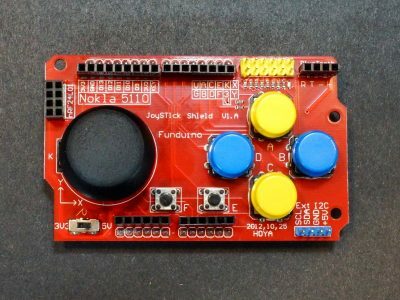 This Funduino Joystick shield provides game and robotic controller functionality. 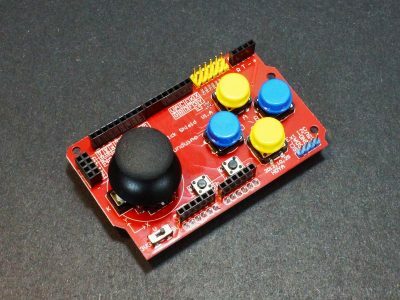 The Joystick Module provides 2-axis analog outputs based on the X/Y position of the joystick as well as a pushbutton activation when the joystick is pressed. These Latching Pushbutton DPDT Switches are primarily designed for light duty power switching. 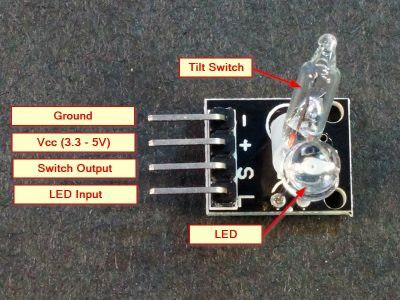 The Magic Light Cup Module incorporates both a mercury tilt switch and LED on the same module for making special effects. 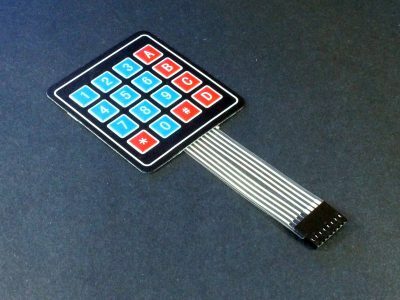 This is a Membrane Keypad that has a 4×4 matrix of letters and numbers for providing input capability to your project. These microswitches have a roller ball on the lever end for applications such as end-stop switches. 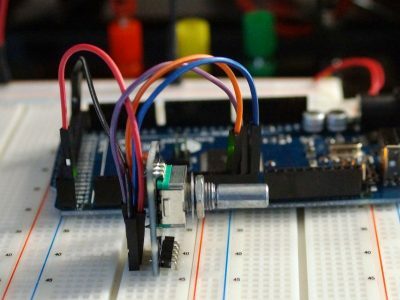 The Mini Reed Switch Module activates a switch closure when a magnetic field comes near. 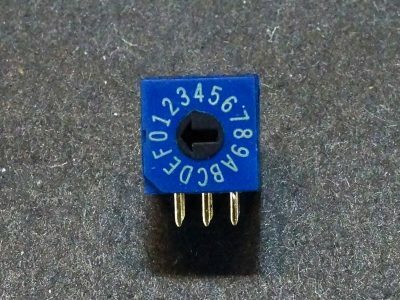 These miniature microswitches with levers are rated up to 1A and suitable for logic and low power switching. 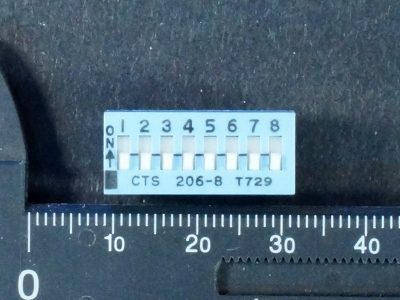 These miniature microswitches with levers are rated up to 2A and suitable for logic and low power switching. 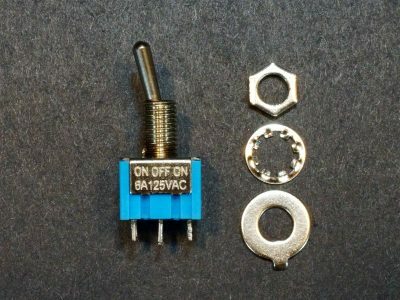 These miniature tactile NO (Normally Open) pushbutton switches have a good snap action feel and are breadboard friendly. 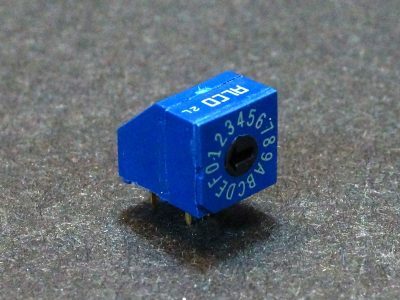 These miniature Rocker Switches are light duty rocker switches with basic ON/OFF action and suitable for logic or light power switching. 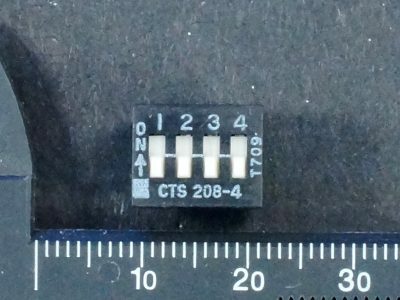 These miniature SPDT slide switches are rated up to 50V@ 500mA and suitable for logic and low power switching. These are new old stock of high quality Alcoswitch 16-position (Hex) right angle rotary switches that output a 4-bit binary code. 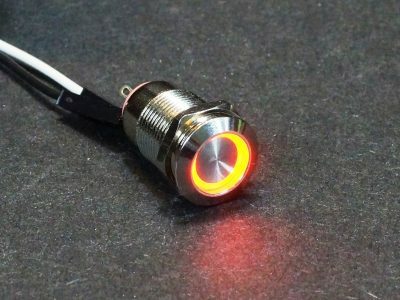 These switches have a red LED light ring and were originally designed for 12V car use, but can be used in many other DC switching applications. 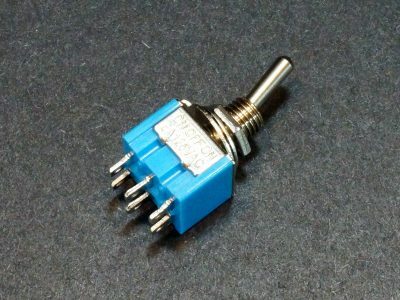 This miniature panel mount toggle switch is DPDT with ON/OFF/ON operation and rated for 6A @ 125V. The Reed Switch Module provides a logic output when a magnetic field comes near or is removed. The Rotary Encoder Module is a continuously variable position sensor that reports the relative position of the shaft, the direction of rotation and if the shaft is depressed. 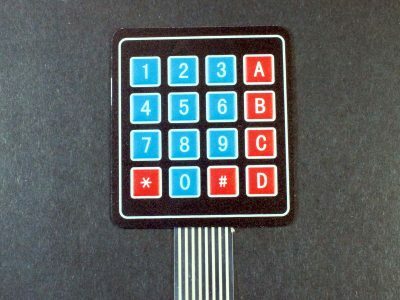 The Tactile Keypad 4×4 Matrix consists of 16 tactile pushbutton switches that provides a convenient and inexpensive way work with a keypad matrix. 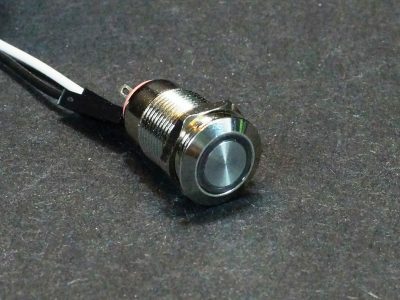 The Tactile Pushbutton Switch Module incorporates a tactile pushbutton along with a 10K pull-up resistor.